CONCORD, N.C. (January 21, 2013) – RAB Racing with Brack Maggard announced today that 19-year-old Alex Bowman will compete for the 2013 NASCAR Nationwide Series Rookie of the Year honors, driving the team’s No. 99 Toyota Camry. 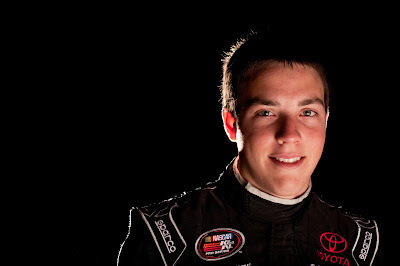 Bowman, who tallied four wins and six pole awards en route to claiming 2012 ARCA Racing Series Rookie of the Year honors, has four career Nationwide Series starts to his credit. He posted a career-best 15th-place finish behind the wheel of RAB Racing’s No. 99 Toyota Camry in the penultimate race of the 2012 season, at Phoenix International Raceway. Bowman will be paired with veteran crew chief Chris Rice, who served in the same capacity for RAB Racing’s NASCAR Camping World Truck Series operation. Rice, 38, a NASCAR Nationwide Series race-winning crew chief, has been with the company since 2010. Sponsor announcements for RAB Racing’s No. 99 Toyota Camry will be announced at a later date. Founded in 1998, RAB Racing with Brack Maggard is a Concord, North Carolina-based auto racing team that fields entries in the NASCAR Nationwide Series. For more information on RAB Racing with Brack Maggard, please call 704-788-7811, or visit www.teamrab.com. Stay up-to-date with the latest happenings by liking the team on Facebook (RAB Racing) and by following the team on Twitter (@RAB_Racing).